When the documentary series The Toys That Made Us about toy brands and properties was renewed by Netflix, speculation immediately arose about what future episodes would emerge. Fans did not have to wait long as the first four episodes were announced at San Diego Comic-Con International and the Nerdfect Strangers accurately predicted at least three of those selections. It was revealed the next four episodes will focus on Teenage Mutant Ninja Turtles, My Little Pony, wrestling, and Power Rangers. Having already gone into detail with the former three previously (although, the ambiguous descriptor for wrestling has lead to speculation the Kinnikuman keshi, or Kinkeshi, better known in America as M.U.S.C.L.E., maybe included), we’re going to discuss the history of Power Rangers and its toys. Japanese production company Toei wanted to generate its own impression of Western superhero works like the Lone Ranger and Zorro resulting in the live action television series Moonlight Mask in 1958. Part of a genre known as tokusatsu in Japan which is a live action work heavily employing special effects (examples include Godzilla and Ultraman), Toei would reach another level in their tokusatsu following the hiring of mangaka (comic book creator) Shotaro Ishinomori in 1970. Having produced Cyborg 009 (Japan’s first superhero comic team) and Skull Man (something of an anti-Batman), Ishinomori spearheaded what would become known as the “Henshin Boom” (henshin is Japanese for transformation). Creating the likes of Kamen Rider (Masked Rider), Robot Detective, Arashi, Kikaider, and Inazuman, what would become known in America as Power Rangers developed from his series Himitsu Sentai Gorenger in 1975, first in the so-called Super Sentai brand (sentai is Japanese for squad). Featuring five special government agents garbed in bright, colorful suits giving them superhuman abilities, the Gorengers fought the evil terrorist organization Black Cross Army. Gorenger was followed by the similar series J.A.K.Q. 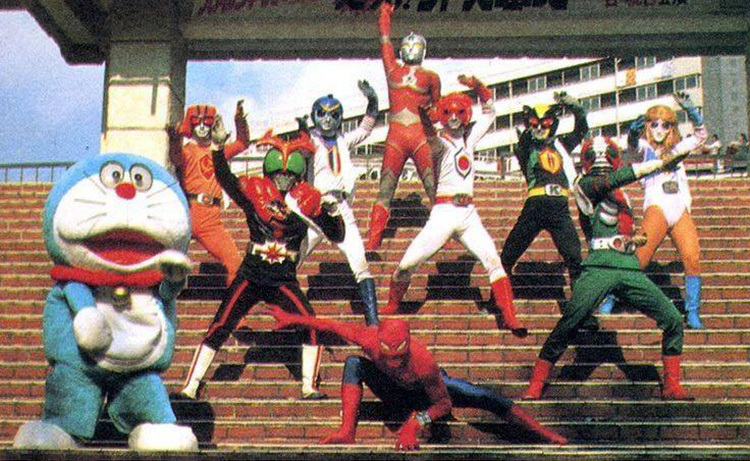 Dengekitai (also created by Ishinomori) in 1977 and a crossover film uniting both teams in J.A.K.Q. vs. Gorenger (1978). When J.A.K.Q. didn’t prove to be as successful as its predecessor, it was canceled seemingly ending the emerging sentai brand. However, the concept found new life thanks to an agreement with Marvel Comics. Following the unfortunate end of J.A.K.Q., Shotaro Ishinomori and Toei parted ways. However, Toei entered into a three year licensing arrangement with Marvel Comics where they would share a handful of properties. Marvel employed the likenesses of giant robots Danguard Ace and Combattler V in its adaptation of the toyline Shogun Warriors (which featured giant robot toys from across many various Japanese companies, proving to be quite a licensing nightmare for a comic book adaptation) while Toei produced a live action television series based on Spider-Man. The Toei Spider-Man, however, shared little in common with its American predecessor save the name and inspiration for the costume and web-shooter being cast instead very much in the Ishinomori tokusatsu mold. Given the rise in popularity of giant robots, Toei’s Spider-Man even introduced the concept of a transforming giant robot called Leopardon (in true circular nature, Leopardon later emerged as a toy in the Shogun Warriors line). A major hit, Toei decided to produce an adaptation of Captain America in the loosest of senses in the Ishinomori sentai mold. Called Battle Fever J, five individuals trained in different countries from around the world donned colorful garb providing them enhanced abilities to combat the evil Secret Society Egos introducing the concept of giant robots fighting growing monsters. Marvel and Toei co-produced two more Super Sentai series together in Denshi Sentai Denziman and Taiyo Sentai Sun Vulcan. Marvel produced an American adaptation of Sun Vulcan that they unsuccessful tried to shop to American networks. Its failure to do so saw the end of the direct relationship between Marvel and Toei for some time (although, through Sunbow Productions, much of Marvel Productions’ animated series in the 1980s were produced by Toei before Marvel eventually cut out Sunbow to work with Toei directly). Toei has since produced a new Super Sentai series every year for thirty seven straight years (combined with Ishinomori’s original two sentai productions and the three Marvel co-productions, totaling 42 entries and growing). 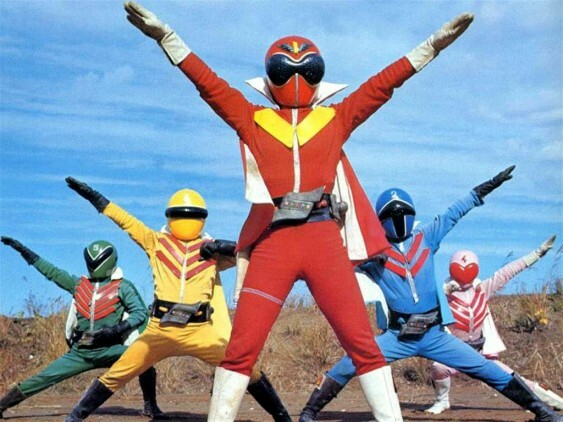 Elements of super sentai would permeate into the American consciousness through anime such as Science Ninja Team Gatchaman (better known as Battle of the Planets, G-Force: Guardians of Space, and Saban’s Eagle Riders which undoubtedly helped inspire super sentai in Japan), Voltron: Defender of the Universe (of which its first season based on Beast King GoLion, a Toei production likely inspired by super sentai, is best known), and Star Musketeer Bismarck (better known as Saber Rider and the Star Sheriffs adapted for America by the same company behind Voltron). 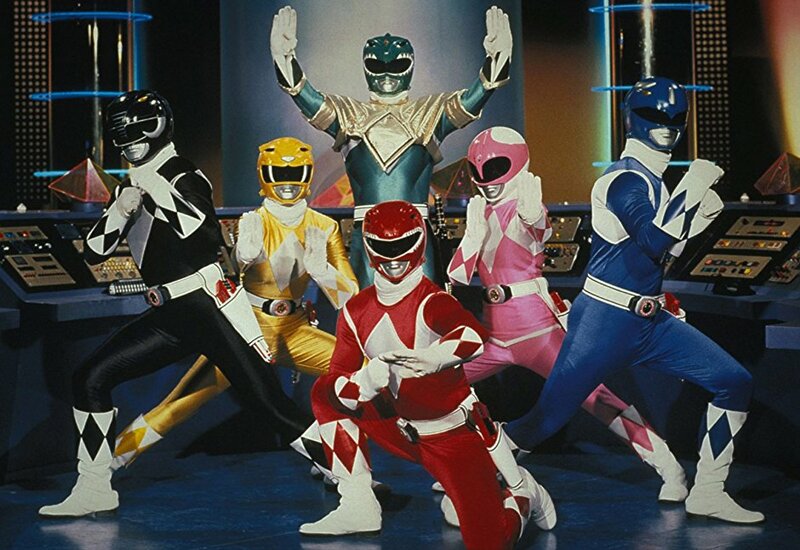 However, Power Rangers developed from a chance moment in the life of Haim Saban. Having made a name for himself producing music for children’s television with his partner Shuki Levy, the pair founded Saban Productions in 1980. Saban branched out into developing its own programming such as in Kidd Video in 1984 and adapting the Toei anime series Maple Town for American audiences on behalf of toy company Tonka in 1986. While on a business trip in Japan in 1984, Saban caught a Super Sentai series on the television in his hotel room and felt the concept could do well in America. Saban produced an American adaptation of Choudenshi Bioman in a pilot called Bio-Man in 1985 only for the series to be rejected by every network that watched it. It wouldn’t be until 1992 that Saban could finally sell the idea thanks in large part to the X-Men. In 1984, Margaret Loesch was an executive at Hanna-Barbera that accepted the position of CEO of Marvel Productions. At this time, Loesch worked with Stan Lee to try and sell Sun Vulcan to various networks. When this effort failed, Marvel relinquished the Super Sentai license in 1985 (which Saban shortly thereafter picked up). By 1990, Loesch had moved on to work for the Fox Broadcasting Company where she was put in charge of producing a programming block for children during the weekdays after school. Another project Loesch championed while at Marvel was an X-Men animated series resulting in the pilot “Pryde of the X-Men.” While the series failed to get picked up, Loesch pushed and managed to convince Fox to order an X-Men animated series. However, she felt she needed another show to pair with it for her block. At the time, Saban was producing the X-Men series and he suggested to her Super Sentai, showing her the Bio-Man pilot he produced. Loesch didn’t even bother sitting through the entire pilot before ordering the series. Thus, in 1993, Mighty Morphin Power Rangers debuted adapting Toei’s dinosaur-themed Kyoryu Sentai Zyuranger and becoming a massive hit. 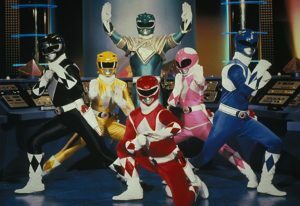 Just as Fox’s Batman: The Animated Series and X-Men proved to be as popular in the ratings as in the toy aisle, Power Rangers became highly sought after by its fans. Bandai, who produced the Super Sentai toys in Japan, also produced the toys for Power Rangers. In time, the toy sales came to influence the television series in some ways. 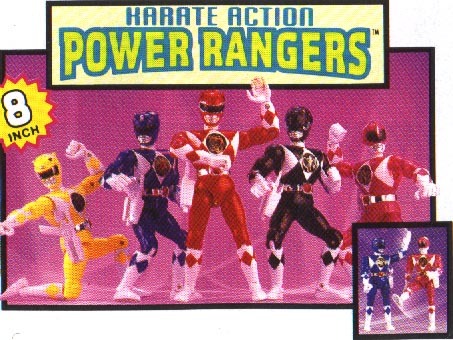 Notably, sixth rangers (or, rangers that came after the initial formation of the team) tended to be popular and when the show’s fifth season Turbo failed to include one, Power Rangers simply created one. So was born the mysterious Phantom Ranger, created from a minor character in the source material to become a close ally in the American show. 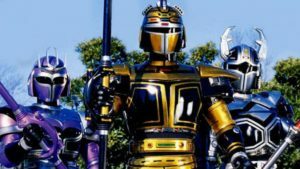 Subsequently, season eight Lightspeed Rescue produced the Titanium Ranger completely whole cloth while season sixteen Jungle Fury created the Spirit Rangers based on three of the zords from the show. Season seventeen RPM had toys for the T-Rex Ranger, Triceratops Ranger, and Mammoth Ranger but they never appeared in the series. 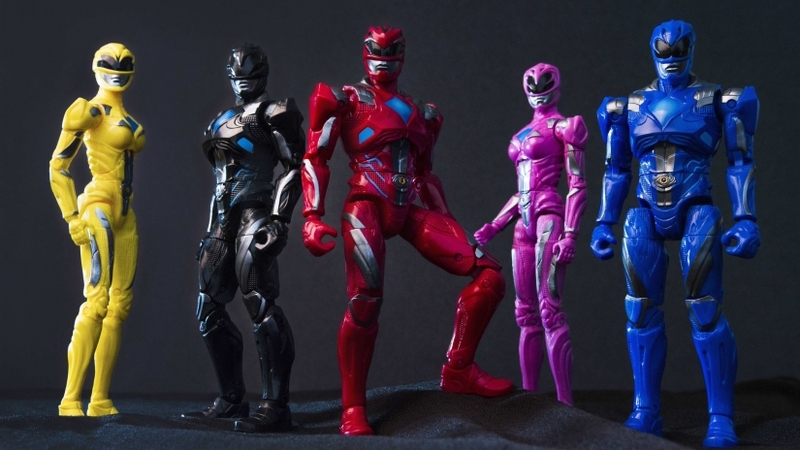 Power Rangers has also been adapted for feature film three times where two of those instances had their own toys. More recently, Power Rangers has been turned into several popular comic books from Boom! Studios which has developed a market for toys based on these characters that do not exist in Japan. Such include the evil Tommy Oliver in Lord Drakkon and the Psycho Green Ranger at this time though it’s likely more will emerge. It should also be noted, much as in Ishinomori initiated the “Henshin Boom” in his time, such was the case with Power Rangers. 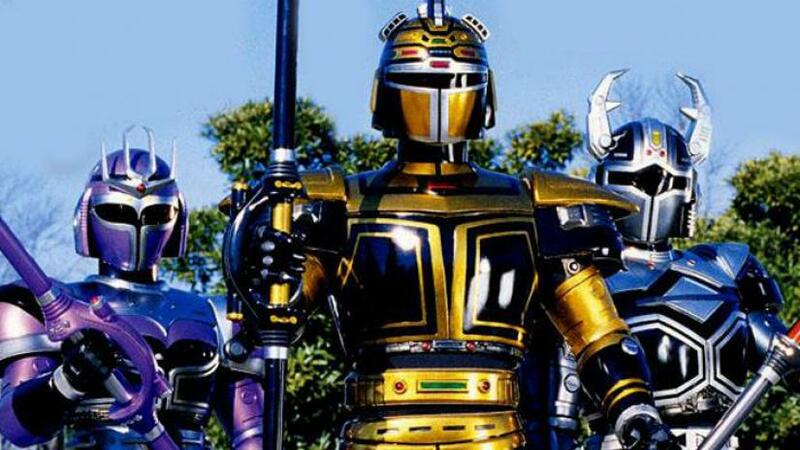 Saban produced similar shows in VR Troopers, Masked Rider, Big Bad Beetleborgs, Ninja Turtles: The Next Mutation, and Mystic Knights of Tir Na Nog (the former three licensed from Toei) with accompanying toylines. 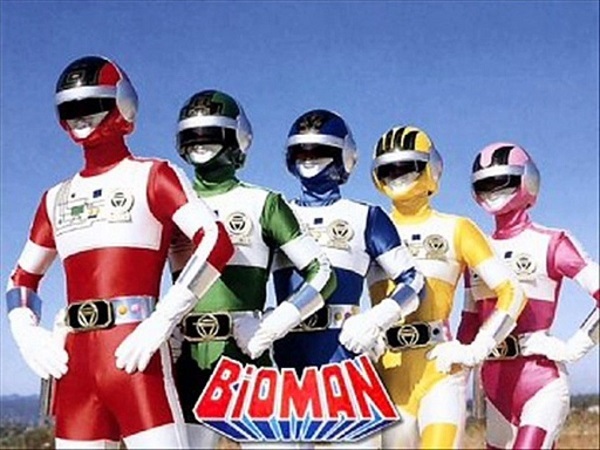 Tsuburaya Productions, best known for its Ultraman brand, licensed its similar property Denkou Choujin Gridman to DiC Entertainment for its series Superhuman Samurai Syber-Squad that emulated Power Rangers in many ways (DiC also had another similar series made at the time from original material called Tattooed Teenage Alien Fighters from Beverly Hills). The show, of course, had an accompanying toyline. Further, it maybe impossible to account for how much influence Power Rangers exerted to bring anime to America as shows like Sailor Moon, Ronin Warriors, Teknoman, and Samurai Pizza Cats undoubtedly found their way to the United States in part due to the series. Just as Super Sentai has an enduring legacy of 42 years, Power Rangers has likewise persisted with its 26th season in production called Beast Morphers based on Tokumei Sentai Go-Busters. 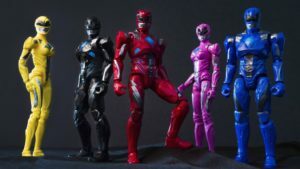 However, this year Saban sold the property to Hasbro who will henceforth manufacture its toys bringing to an end Bandai’s quarter of a century of making Power Rangers toys. This entry was posted in Uncategorized and tagged Jerry Whitworth, netflix, Power Rangers, The Toys That Made Us, tokusatsu, toys. Bookmark the permalink.